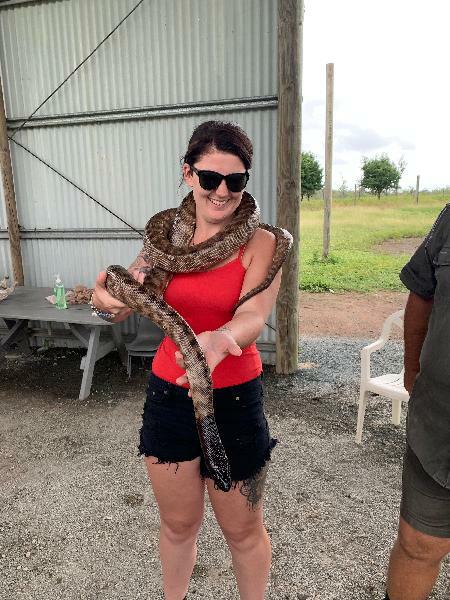 Get a hands on experience at Bredl’s Wild Farm and hold a snake, baby crocodile or even a koala and lizard! The 175 acre premiss of native flora and fauna is best described as a mini Kakadu National Park. Guest are encouraged to get out and meet the friendly locals like kangaroos, emu’s, possums, koalas or cassowaries to name just a few! You will travel down from Airlie Beach accomodation in an air conditioned 19 seater coach to experience a taste of this truly iconic bushman. Pickups start at 8:30am, trip departs 9am and returns to Airlie Beach by 2:30pm. Please state your pickup details upon checkout and get in touch with the tour operator the day before to confirm departure. If you have any special requirements please state them in the 'special requirements' box upon checkout. Minimum numbers apply, please get in touch with the tour operator the day before to confirm departure. Child prices apply to ages 3-14 years old. A family run business, with a very hands on experience. No bells and whistles so to speak. Just knowledge and wildlife experience with very rustic experience. We loved this experience. Muy recomendable. La mejor experiencia con animales salvajes de mi vida. We had a perfect day. It wa good , that the group wasn't too big. The bus driver Daren was nice and made awesome wraps for a light lunch, and the whole day was just amazing. Heaven on Earth for adults and children. A lot of time with a lot of animals. Very emotional experience. Perfect organization, from the pick up to the tour itself. 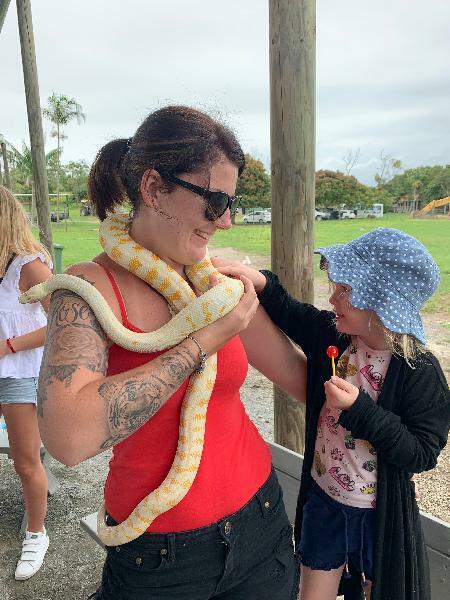 Your message has been sent to Bredls Wildlife Farm Day Tour - Airlie Beach Pick Up. You should hear from them shortly. Please note: all responses will come directly from Bredls Wildlife Farm Day Tour - Airlie Beach Pick Up, and not the team at Bookme.